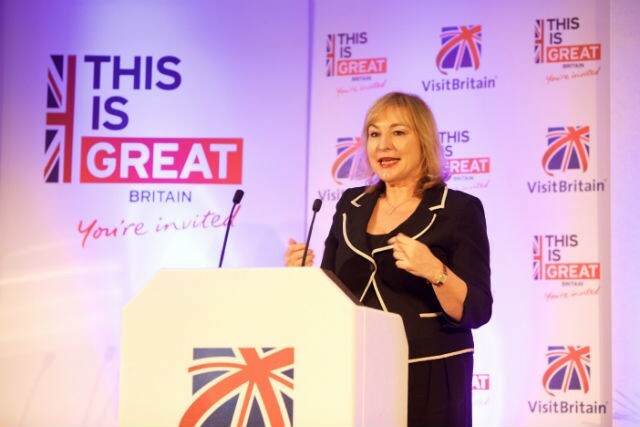 Patricia Yates leads our strategy and communications division which delivers on our statutory duty to advise Government on tourism matters that impact on England’s tourism as well as those that affect Britain’s global competitiveness. Our team provides research and insights on England and inbound tourism to Britain, evaluation of our activity, strategic partnership engagement, communication with our stakeholders, media and staff; and leads the industry in time of crisis. Our dedicated Britain and England research teams provide a wealth of information on both domestic and international markets and customers. By offering world-class market insights, trends and performance analysis across sectors, we provide the industry with the research they need to build their tourism business and encourage marketing that’s inspirational and relevant, alongside better targeted product development. We proactively engage with public diplomacy partners, as well as with the nations and regions of England and Britain to ensure we deliver on our targets to drive the regional growth of inbound tourism.As a trusted advisor to Government and industry on tourism issues, particularly those that affect the UK’s international competitiveness, we provide policy solutions, market intelligence and customer insights. Internal data and analysis are performed by our analytics team which monitors and evaluates activity and campaign performance against government targets. Our stakeholder communications team informs and engages industry and staff about our activities and news through clear messages sent out via our communication channels. Our key channels include this website, networking events, Linkedin, Twitter, Youtube and our targeted Britain and England newsletters. Our corporate PR team works with the national and international media based in the UK to position us as the leading authority on inbound and English tourism. Patricia Yates has been with VisitBritain/VisitEngland since 2005, becoming Strategy & Communications Director in 2007. She is responsible for research, tourism affairs and communications. Patricia started her career as a journalist working on research and technical publications. She followed this with a long period editing Holiday Which? where she scoped the strategy for and led on all Which?’s research, campaigning and public affairs work in tourism, travel and transport. She also launched and edited the Which? Guide to Hotels for many years. Patricia is the Chair of TIER – the Tourism Industry Emergency Response group - which coordinates the tourism industry messaging at times of crisis and a Fellow of the Tourism Society. She is an observer on the board of the Tourism Alliance for VisitBritain/VisitEngland.